LIMA, Peru (AP) — Peru’s recently pardoned ex-President Alberto Fujimori has been taken from his home in the capital to a hospital for observation. 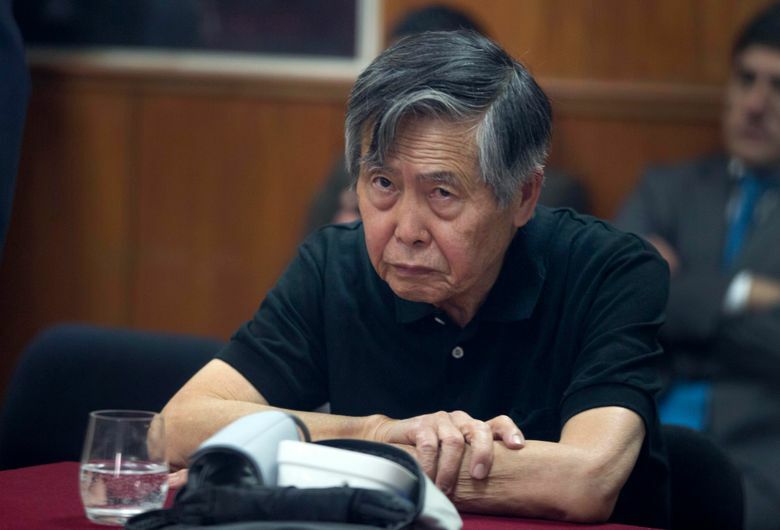 Family doctor Alejandro Aguinaga told the newspaper El Comercio that the 79-year-old Fujimori has an irregular heartbeat. A cardiologist examined Fujimori and recommended hospital care. He was moved to a hospital Sunday. Current President Pedro Pablo Kuczynski pardoned Fujimori on Christmas Eve, freeing him from a 25-year prison sentence. Fujimori was convicted in 2009 of killing 25 people, including an 8-year-old boy. He was later found guilty of knowing about death squads financed with public money that killed civilians. Kuczynski’s pardon set off protests by leftists and human rights activists, saying Kuczynski broke a promise not to release the former leader. Kuczynski says Fujimori suffers from an incurable illness.